The metabolic disorders currently, there is more and more often. The causes may be different: poorly organized lifestyle, food, disruption in the endocrine glands. Often, for normalization of exchange is necessary to resort to the use of drugs. Metabolism is a chain of chemical reactions that are linked. The energy processes that occur as a result of these reactions give the body to function smoothly. When the metabolic loses the connection between the organs and the nervous system. The outcome of such violation can be extreme exhaustion or abnormal weight gain. These problems primarily engaged in endocrinologist, because the metabolic production of various hormones can be reduced or increased. To start restoring balance in the body, the doctor prescribes blood tests. On the basis of the obtained results and are appointed of drugs. In the first instance, the metabolic disorder suffers sensitive the thyroid gland, which produces hormones thyroxine and thriodthyroxine. They contain iodine, so when it is lack of hormone production is greatly reduced. Iodine deficiency will lead to depression, insomnia, a change in the General condition of the body. In this case, it is necessary to start taking medications that will become an additional source of iodine for the body: "Iodomarin", "Iodide","Folio" (a combination of iodine with folic acid). It is important so that iodine increases the metabolism. To accelerate metabolism can L-carnitine, alpha-lipoic acid. These substances increase the body's endurance to physical training, improve concentration and memory. Take them for the normalization of body weight, split fatty deposits, strengthen the muscle mass. The pharmacy can meet the L-carnitine in the form of solution, tablets and even capsules. Alpha-lipoic acid in the Supplement is an antioxidant, it neutralizes free radicals, which impede the normalization of metabolism. Medicines to slow metabolism needs to pick up only a doctor, self-medication in this case can be life-threatening. If the reason for the acceleration of metabolism is the increased production of the thyroid hormone, there shall be "Tiamazol", "Propell". 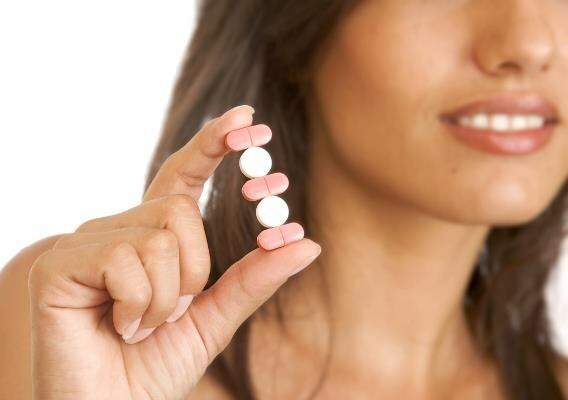 These drugs reduce the production of pathological thyroid. The treatment can last about 1.5 years. For the normalization of metabolism of medication therapy should be combined with a balanced diet, adequate exercise sleep and rest, moderate exercise. Most importantly, it's time to consult a doctor and follow all his recommendations.